Are Teeth Whitening Products As Effective As Cosmetic Dentistry? Americans spend approximately $1.4 billion on over-the-counter teeth whitening products every year. It’s no surprise why. Over half of the American population over the age of 50 say that a smile is considered the most attractive physical feature as we age. That being said, many non-prescription teeth whitening products may actually be ineffective, especially compared to services provided by an actual cosmetic dentist. How do you know whether or not the product is worth it? There are a wide variety of teeth whitening products you can find in your general store. These products include toothpaste, strips, gels, and rinses. Toothpaste contains mild abrasives, which help to remove surface stains on your teeth. Whitening toothpaste contains additional chemicals such as carbamide peroxide or hydrogen peroxide. These chemicals help to remove additional surface stains. However, they remove surface stains only and will lighten your teeth by one shade. In contrast, your local Panama City dental care can use prescription-strength whitening which lightens teeth up to eight shades. Whitening strips are thin strips coated with a peroxide-based gel. These strips are especially popular. It takes a few days for the whitening to go into effect and the color can last for up to four months. 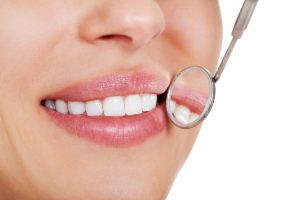 In comparison, your Panama City dental service can provide you with teeth whitening that will be apparent directly after the dentist appointment. What’s more, the effects will last for up to three years compared to the few months provided by whitening strips. Whitening rinses are one of the newest trends that have been going around. These rinses work similarly to mouthwashes. However, they contain hydrogen peroxide and other chemicals which are used to whiten teeth. These rinses may take as long as 12 weeks for users to see whitening results. This is because users are only applying the whitening chemicals for up to two minutes every day compared to whitening strips which sit on the teeth for up to 30 minutes. It’s for this reason that whitening rinses are considered to be ineffective compared to other over-the-counter whitening products. Not only does it take longer for the whitening to appear but there’s also less of an effect. Your local Panama City dental service can provide you with professional whitening that will give you significant results in as little as one dental visit. Your teeth will have the bright coloration you want and the long-lasting results you need. For more information or to schedule an appointment, contact the offices of Dr. Derek Wall today.